As we mentioned in our first post, we talked about starting a blog when we couldn’t find information on the Anguilla ferry. So, we hope that some explorers somewhere will find this information useful. We also had trouble pronouncing the name of the island, being from Texas we wanted to pronounce the double “l” as “ya” but the correct pronunciation is ang- GWIL-a. Since Anguilla is a British Territory, they drive on the left side of the road. We debated renting a car or just taking taxis. We wanted to explore the island at our own pace but neither of us had experience driving on the other side of the road. I found a good deal with Andy’s Car Rental, so we decided to get the car, and looking back we made the right decision. I emailed him the day before and reserved a car for a reasonable price. We used the rental car insurance through my credit card, but if you don’t have that option you can get insurance from Andy. Since there are no direct flights to Anguilla from the US Mainland, the best way to get to Anguilla is via St. Martin. There are two ferry options you can choose from. The St. Martin Anguilla ferry leaves from Marigot on the French side of the island and the St. Maarten Anguilla ferry operated by GB ferries which leaves from the Dutch side, right by the SXM airport. We chose the Anguilla ferry that leaves from Marigot since that was closer to our vacation rental. We parked for free in one of the spots by the harbor which wasn’t super close to the Marigot Gare Maritime terminal. We had left plenty of time, so we had a leisurely walk to the ferry. The Marigot ferry terminal wasn’t well marked, but after asking a few people we found it close to the market and by the “I heart SXM” sculpture. As we were waiting in the terminal, we saw the Anguilla ferry boat which was a bit more worn than I was expecting. We were both concerned and a lovely couple from Virginia overheard my comments and assured us that they had survived multiple journeys on this ferry. They compared it to the Staten Island Ferry, which Anisa didn’t agree with (more on the Staten Island Ferry in a later post). We boarded the ferry from St. Martin to Anguilla and made sure to sit close to the emergency exit. It actually was a smooth ride and only lasted about 20 minutes. The first Marigot ferry to Anguilla departs at 8:15 am and every 45 minutes after that. The ferry costs $20 each way and is cash only. In addition, you must also pay a departure fee of $5 leaving St. Martin and $8 leaving Anguilla. You do go through immigration on both ends and get passport stamps. As soon as we got at the Anguilla Blowing Point ferry terminal, Andy (from Andy’s Car Rental Anguilla) met us on the dock. His rental stall was right past immigration and the cars were only 100 meters or so away. After paying for the rental (including the Anguilla driving permit), Andy took us to the car and gave an overview of the map he provided. He is quite the man on the island. Andy told us not to worry about locking the car (we could even leave the keys in it) as he knew everyone on the island and no one would mess with him. What a contrast to St. Martin where you have to be very cautious about where you park the car and you should not leave anything of value in the car. Once we got to the car, I adjusted the seat and mirrors and tried to get as comfortable as I could with driving on the left (and sitting on the right). I had never previously (intentionally) driven on what we call the wrong side of the road. I knew that it would be weird making turns. However, I didn’t consider how strange it would feel to have my left knee resting on the center console rather than the door. Also, I had to shift into drive, reverse and park with my left hand…very strange. Next, I kept on inadvertently turning on the windshield wipers when trying to use the turn signal. I had to think when turning to ensure I was going into the right lane (this perhaps would have been easier had there been more cars on the roads). One funny thing (well funny now) happened right after we got the Anguilla rental car. We needed to put a few dollars of gas into the vehicle. I had no problem getting the gas, but then I couldn’t get the car to start. I thought there was an issue with the car since it wasn’t exactly new. Anisa even tried to start it. Upon complete failure on both our parts, I went inside the gas station to see if they could come look at the car or call Andy. The attendant came out and immediately solved our problem. The car wasn’t in park (see above about the shifter being on the other side). So, off we went…hopeful that we would be more successful at driving for the rest of the day. And we were! Andy told us to leave the car in the lot with the key in it, so we did. Then we waited in a slow line to pay the departure fee. We also had to go through metal detectors but we made the 5:30 ferry. The last ferry back to the Marigot ferry terminal leaves at 6:15. The ride back was much rougher than the way there. There weren’t any seats outside and you could barely see the windows from the seats inside. We both felt a little sick but no one on the boat actually got sick. The waves did ease up as we got closer to Marigot, luckily it is not a very long ride. 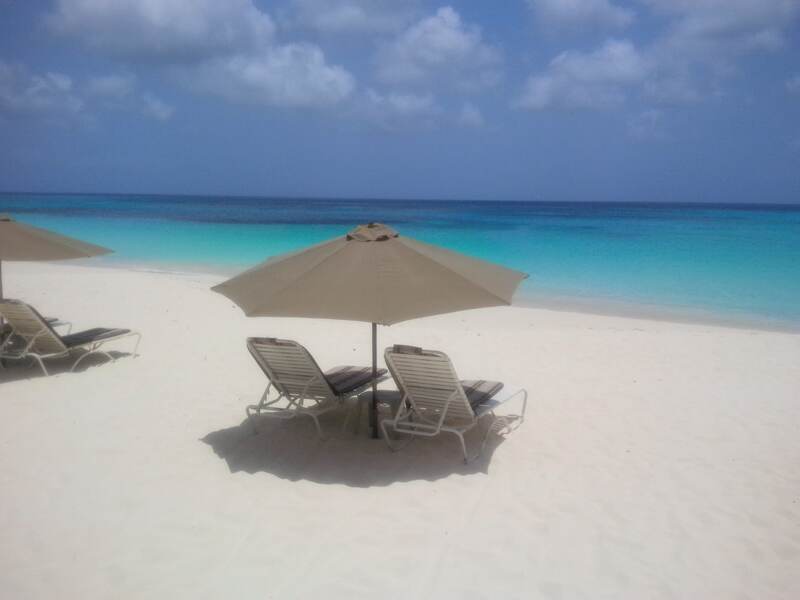 We loved our day in Anguilla, the beaches there are lovely. Luckily, Anguilla was very laid-back and there were not many cars so there weren’t any tense moments. Driving wasn’t difficult, just different. Have you ever been to Anguilla or another place where you had to drive on the other side? We would love to hear about your experience. ‎You will need cash (US dollars are fine) and your passport for the Anguilla ferry. Leave a little extra time for slow immigration lines. Renting a car in Anguilla is easy (use Andy’s Car Rental). Just be mentally prepared to drive on the left side of the road. 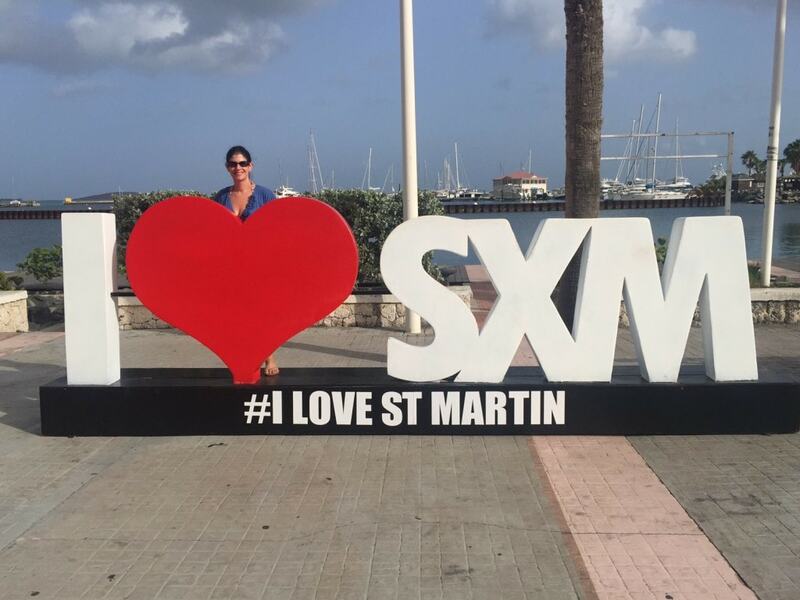 You can also do a St. Barts day trip from St. Martin. Love this post. Can’t wait to go myself now. Thank you ladies!!!!! Yes, definitely recommend a visit. We will have another post down the road about how we spent our day in Anguilla – the beaches are beautiful! Hilarious but maybe a little stressful at the time ;). Always appreciate the “Andy’s” of the Island. Yes, always nice when you can find someone like Andy. We need more of them!